Now and then an app that is really nice shows up. You download it and starts to play with it. After a while you realize that this will actually change they you work, it is that good. 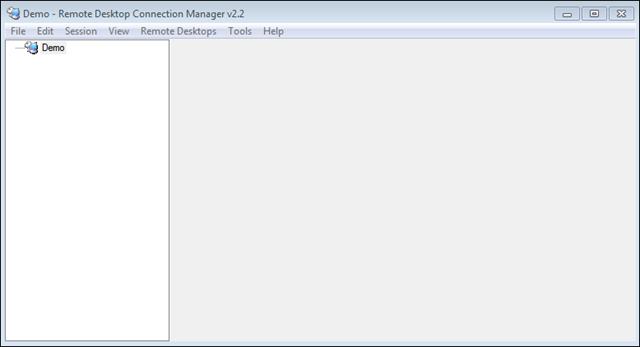 You might think that I will now start talking about the latest version of Office 2010. No, I will not talk about Office (at least not for now). Now, next step is to create a group for each “customer” or “set” of computers that share the same domain, username, password and stuff like that. In my case I would create a group for servers at my work and another group for servers at my home (doesn’t every IT Pro have a server farm at home?). 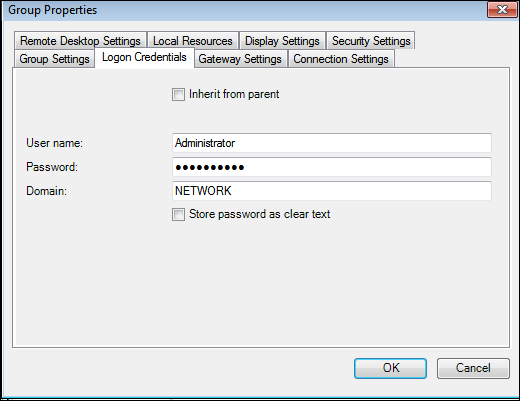 It is important that you don’t add servers in the root, since you cant combine groups and servers in the root level. 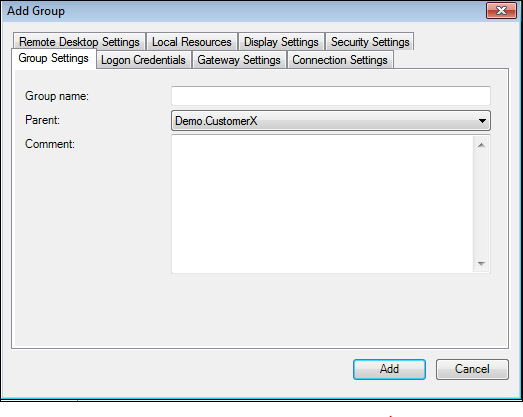 Be sure to create groups in the root level and you do that by using “Edit – Add Group”. As you can see, you can do all kinds of settings and this is so nice. 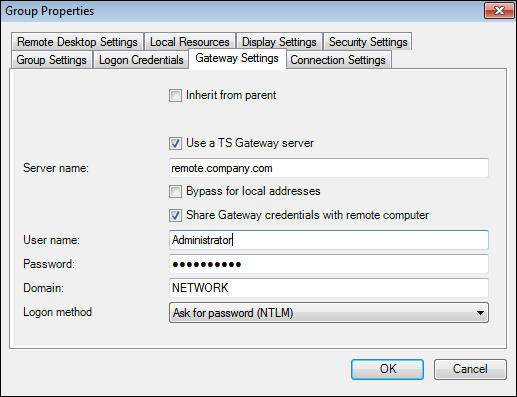 Now, you can modify settings regarding TSGateway and Logon Creds on a group basis, and then just add servers to that group. Like this. The nice thing about that is that you can actually connect to the whole group or every server you have at the same time, and see all desktops like this. I think it is kind of nice to be able to see most of the important servers at one time. Most of our consultants at work that do a lot of server based administration where scripting is not an option has switched over to use RDCMan. And might I suggest you do the same if possible and needed.